Let’s face it, you could do a lot worse than the HTC One X; after all, it sports one of the best displays out there and it proved a swift performer throughout our testing. Well, according to a purported leak, it now seems that the company’s flagship smartphone will be getting, together with a plus sign, a slight bump in specs. An anonymous XDA developer going by the handle @Football4PDA has been actively tweeting on a number of new HTC devices and, in a latest tweet, has leaked a bunch of specs for the rumored HTC One X+ (previously leaked as Endeavour C2). The new device is said to feature a faster version of Nvidia’s Tegra 3 chip, the AP37, over the current AP33 found in the HTC One X. The new chip boasts slightly faster quad-core speeds of 1.6GHz and single-core speeds of 1.7GHz and 25% faster graphics performance, with the ability to drive displays up to 1920×1200. 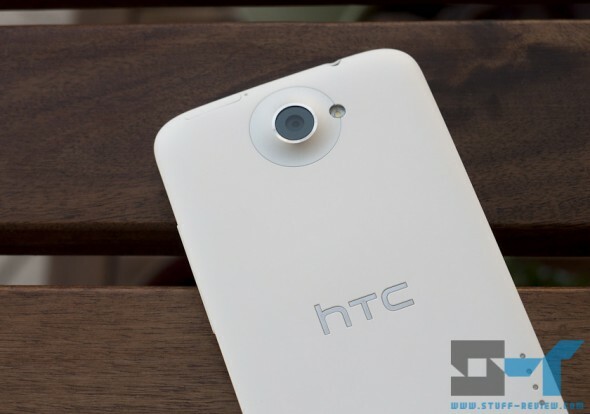 The HTC One X+ is also said to ship with Android 4.1 Jelly Bean and HTC’s Sense 4.5 user interface. Other specs are said to be the same, with 1GB of RAM, 32GB of internal storage, and the same paltry 1,800mAh battery, despite a claimed increase in thickness to 9.3mm from 8.9mm of the HTC One X. The full dimensions of the One X+ are said to be 134.36 x 69.9 x 9.3mm, weighing 129g (HTC One X: 134.36 x 69.9 x 8.9 mm and 130g). We would expect the design to be the same as the One X, though we are still hoping that HTC has somehow managed to squeeze an even bigger screen in the same body. Either way, all will be revealed at HTC’s big New York event on September 19 together with a host of other devices.